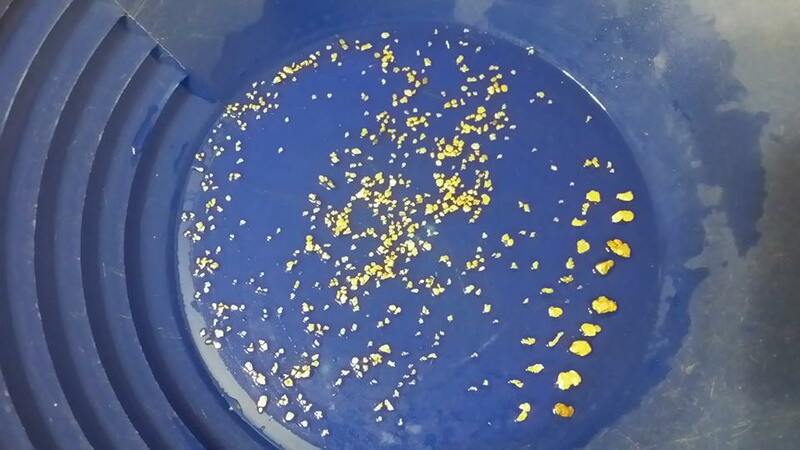 A customer finding a gold nugget or a significant amount of gold or even a Gemstone that we can cut from one of our concentrates isn’t a rarity. No, sir! 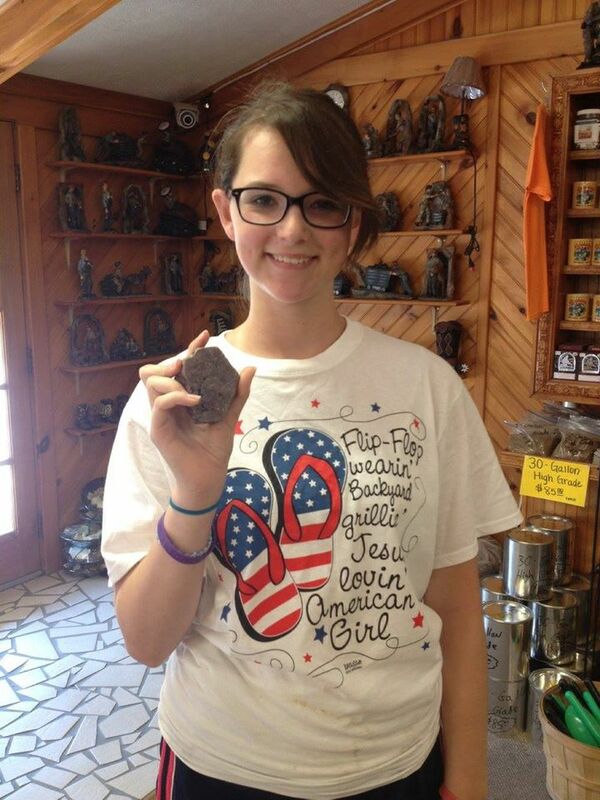 And just to prove it, here are a few of our satisfied customers and their finds! 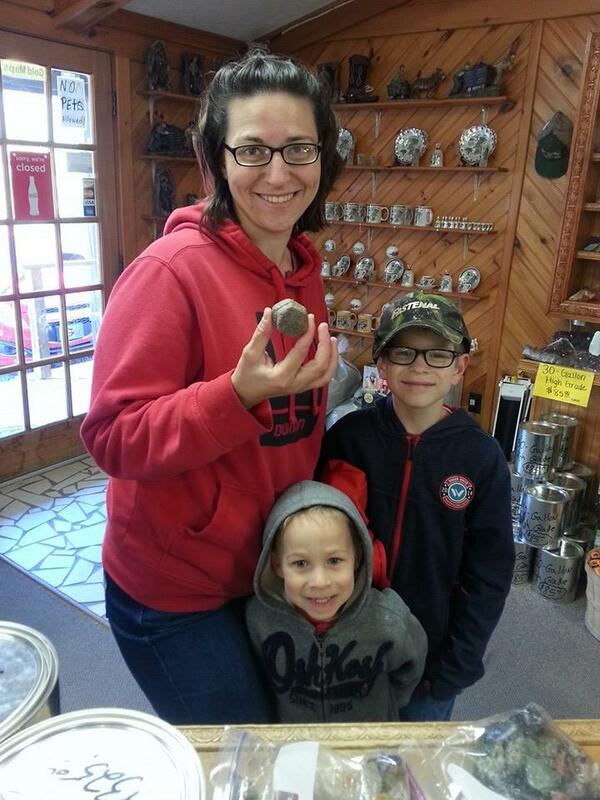 Come on by and maybe your picture will be put on our website with these happy customers!!! Be Careful because GOLD and Or GEM FEVER is real contagious! There is No Cure for it! 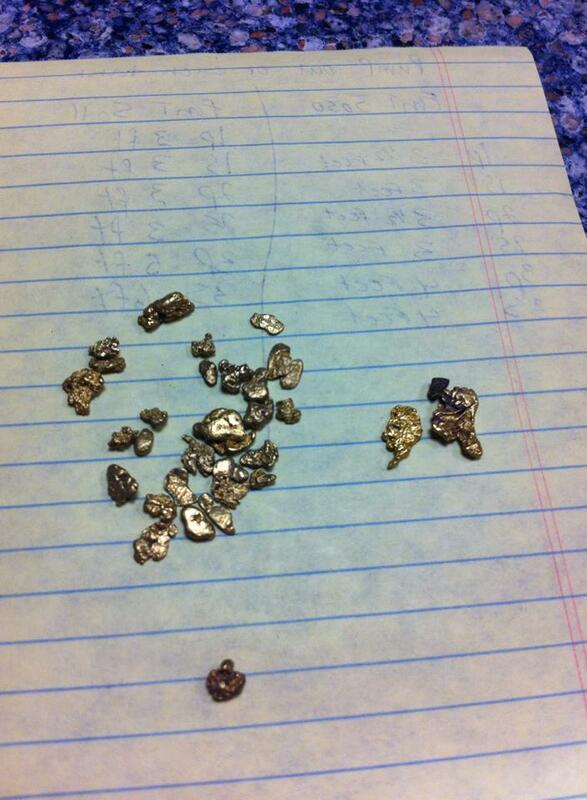 Check out the nuggets found by Robert Junebug Humphries‎! 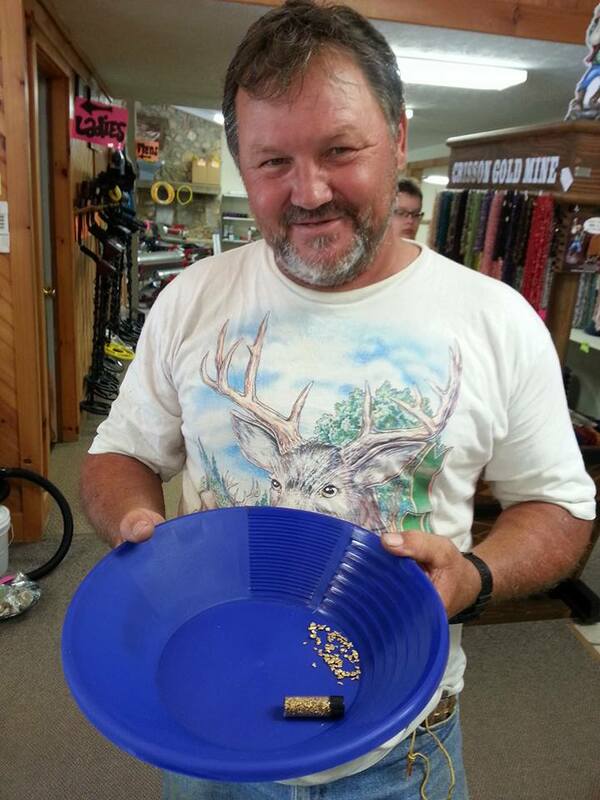 One of our regular customers showing off his gold he has found from several visits. 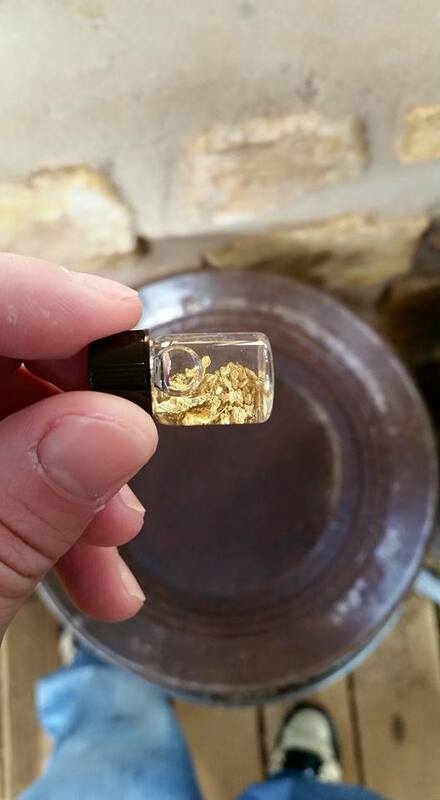 Over 1 oz of Gold! 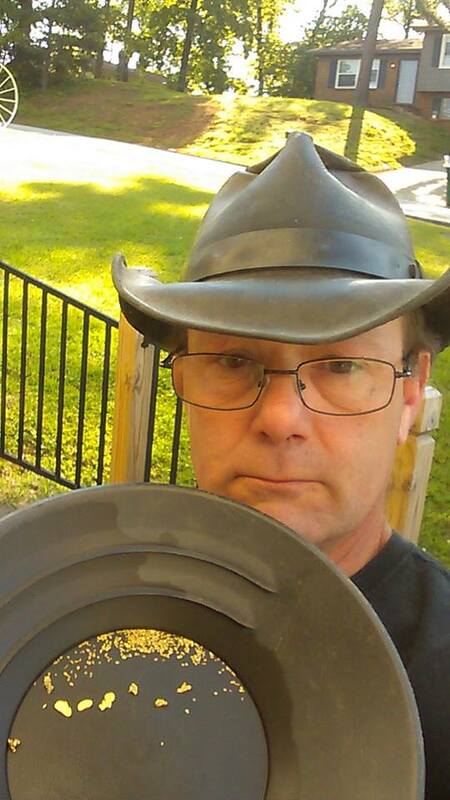 Philip Engel from Jonesboro, Georgia. 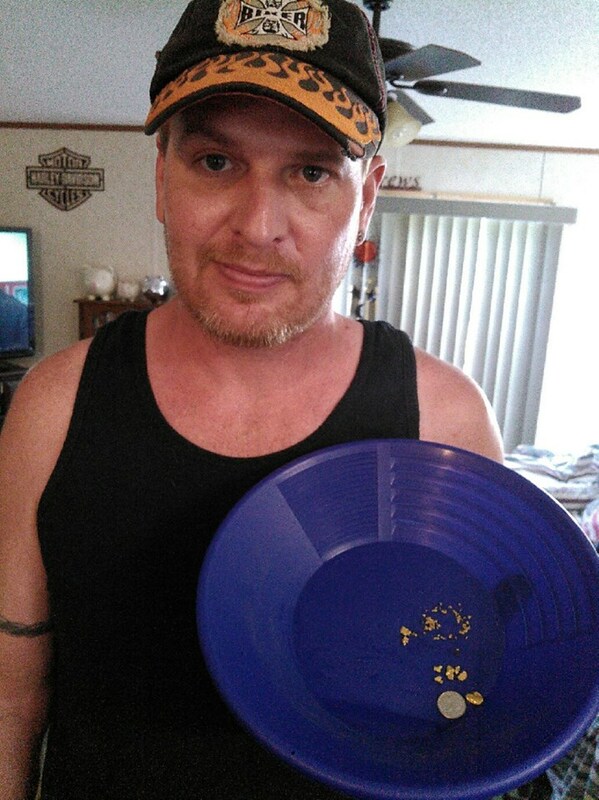 This is a happy Customer! Wayne had 6 Nuggets and some Flakes in his bucket!!! 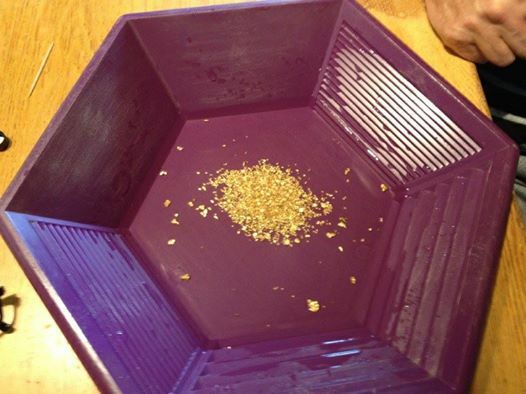 Check out these flakes of gold in Lillie Phillips’ pan! Ben and Jerry! No not the Ice Cream Company. But this is two nice guys that was a delight to meet. Ben and his dad Jerry came down from Indiana to do some prospecting. They came by to join the WEGM and i talked them into doing a trommel load. I think they did very well. They said they had a great time. 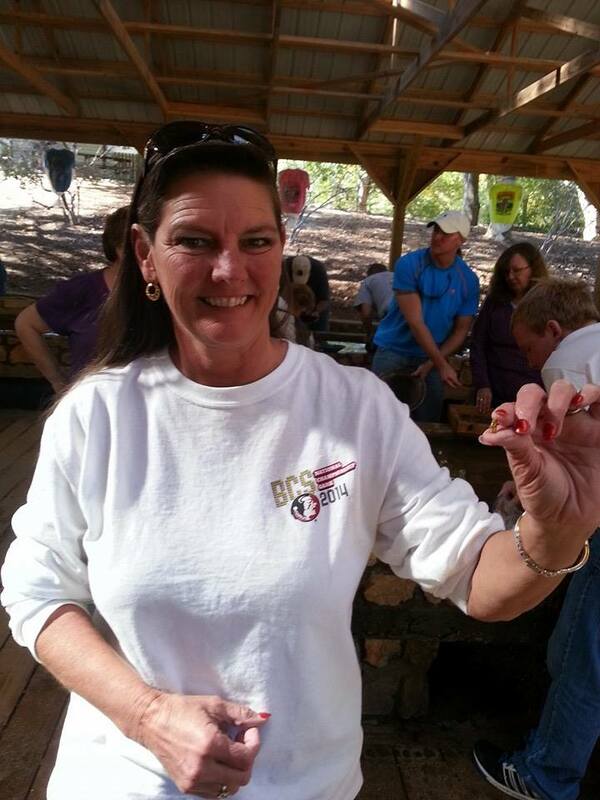 This Little Lady is very happy with the Ruby she found in her Gemstone Bucket!!! 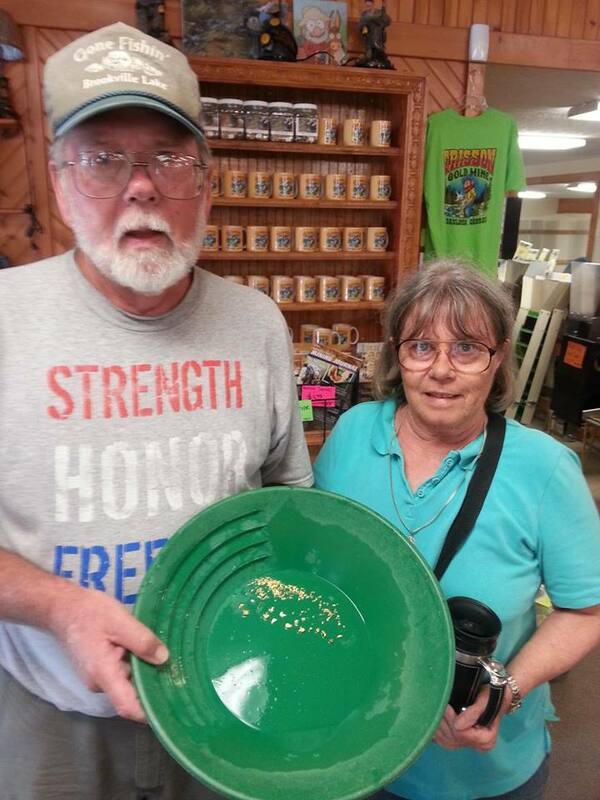 A very Happy Couple showing off their Gold they found panning the Concentrated buckets!!! 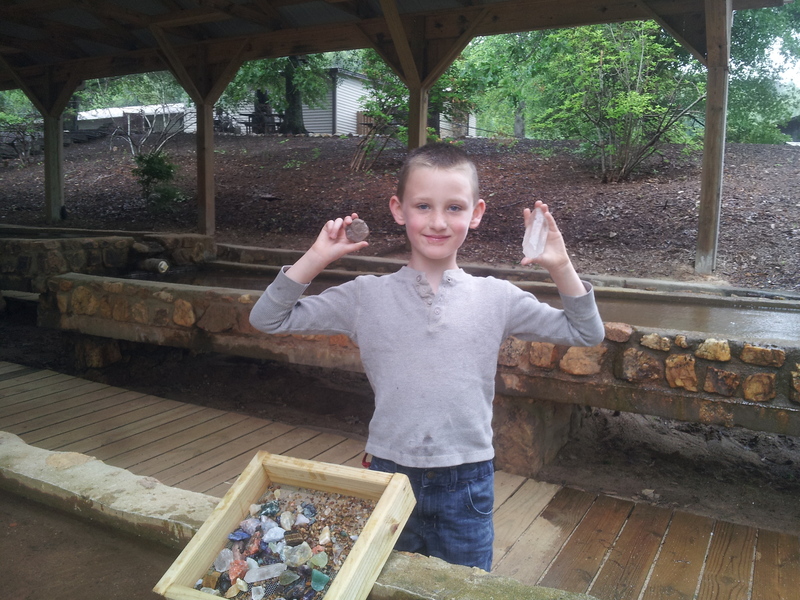 Christopher is showing off his favorite Crystals he found in his Gemstone Bucket. He calls them Diamonds!!! Wayne Malone said he was very Blessed! Nuggets galore today!!! 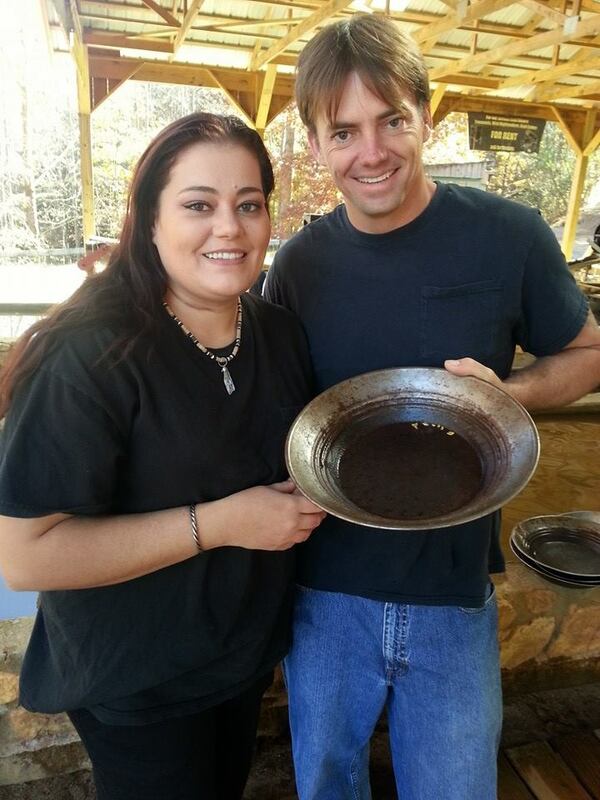 Their first time Panning for Gold! 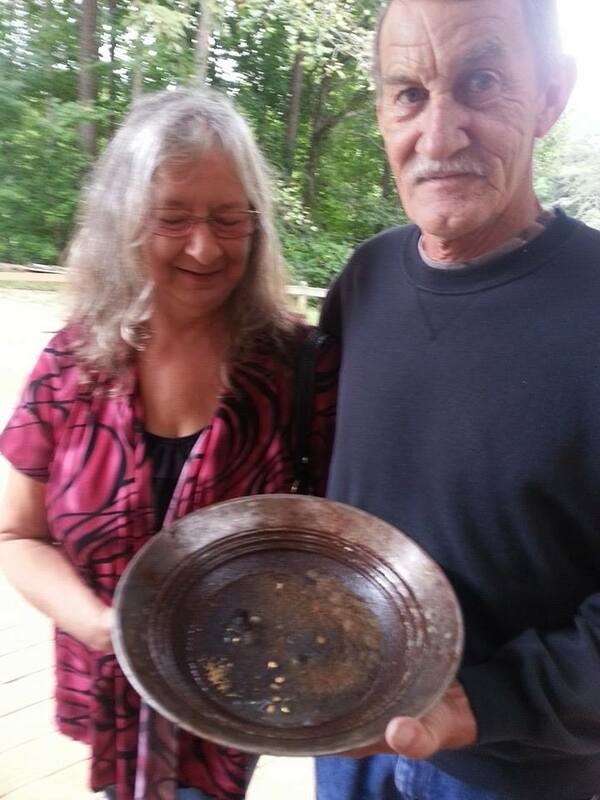 She wanted to keep everything in the pan until she found Gold. Then she was Hooked!!! 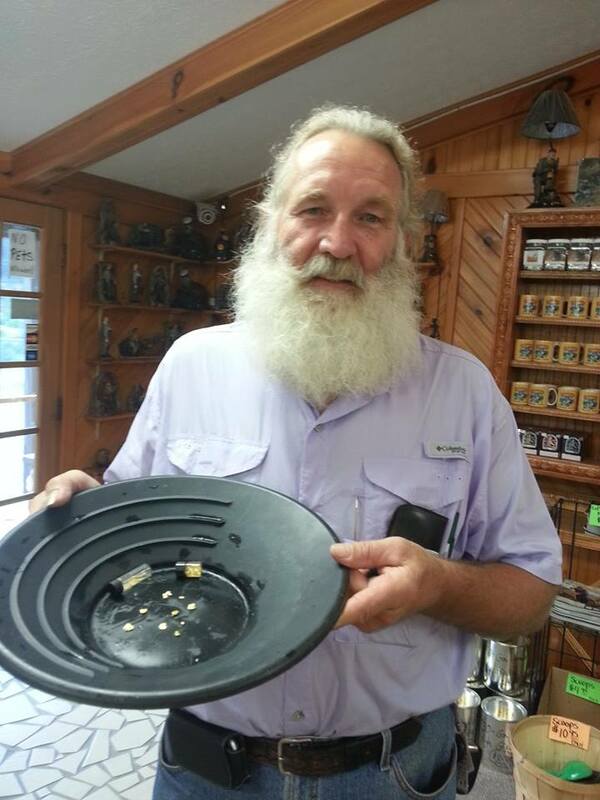 This is the gold that him and his wife has found over a period of time coming in and picking up some gold concentrates and taking it home to pan. This is a happy Customer!! His family found some Nuggets and also some flakes!! By the look on his face he had a great time. Wow look at his nuggets! Repeat Customer for over 11 Years! 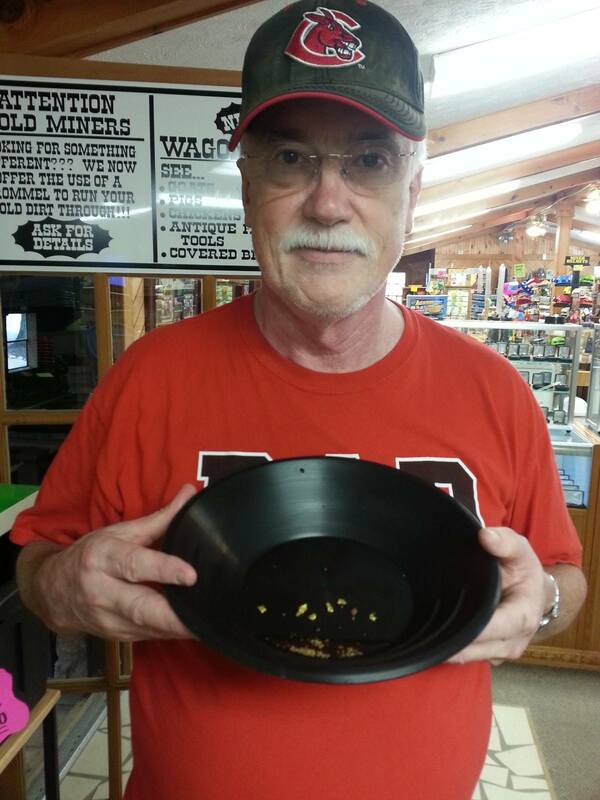 Jerry Graham is a very dear sweet customer that has been coming to the Gold mine for over 11 years!! He comes once or twice a year. He said he has over 1 pound of Gold he has found from here. 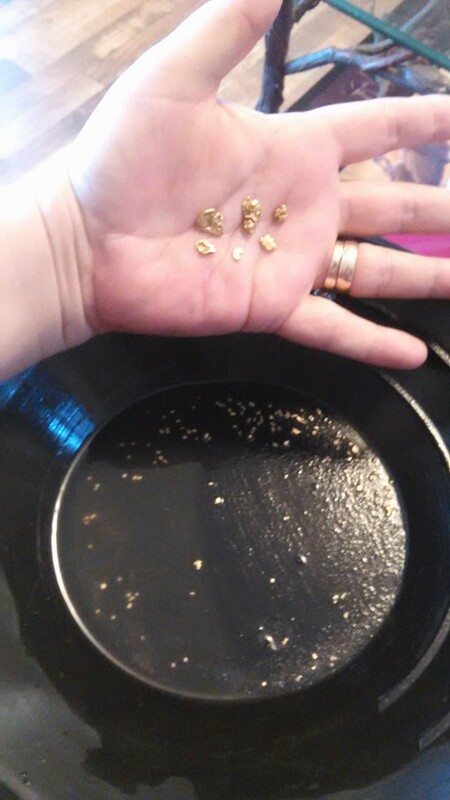 This is just a shot of his gold from this visit. A happy little guy!! 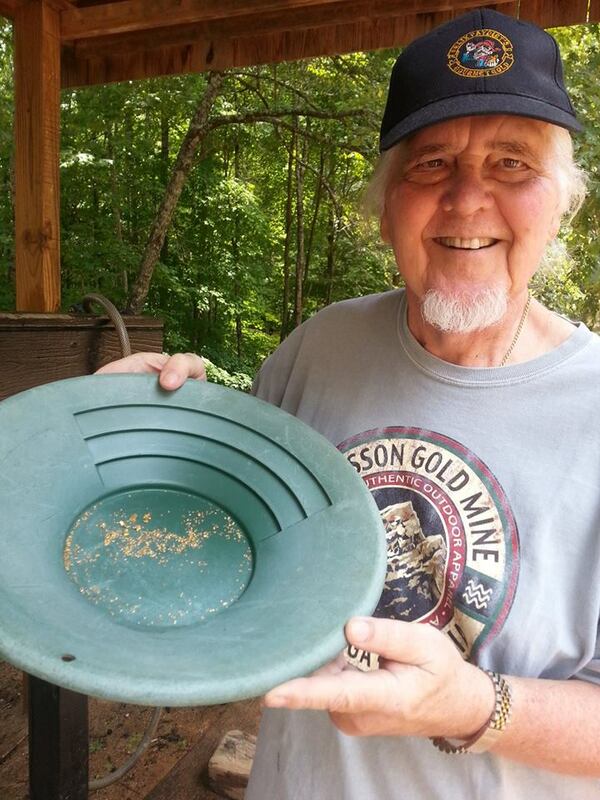 He found some Gold! 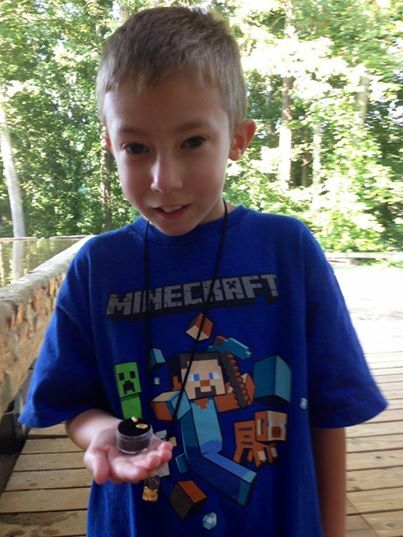 Wow we was so busy with summer campers here at the mine all week! 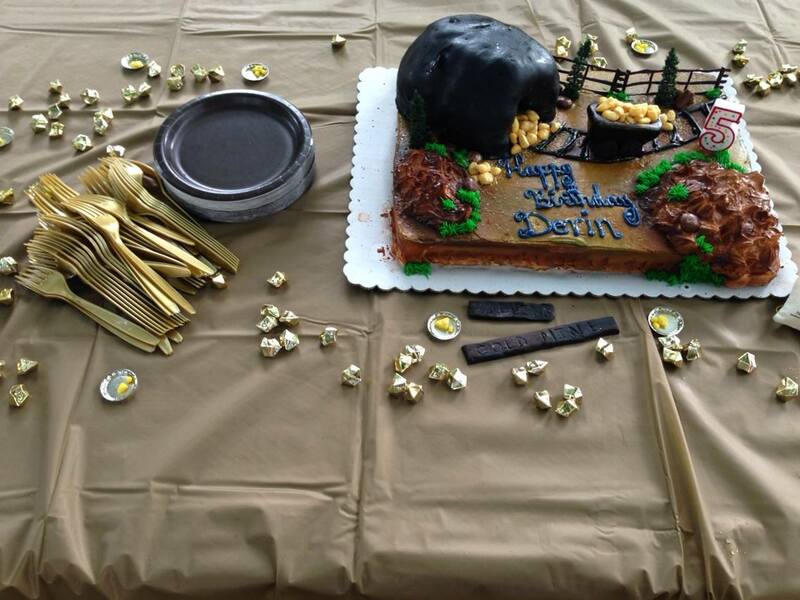 This is a very creative cake that a family made for their son’s 5 year birthday celebration they had here at the Gold Mine. I wanted to share the cute Gold Mine scene. I am glad we got to be a part of their celebration. 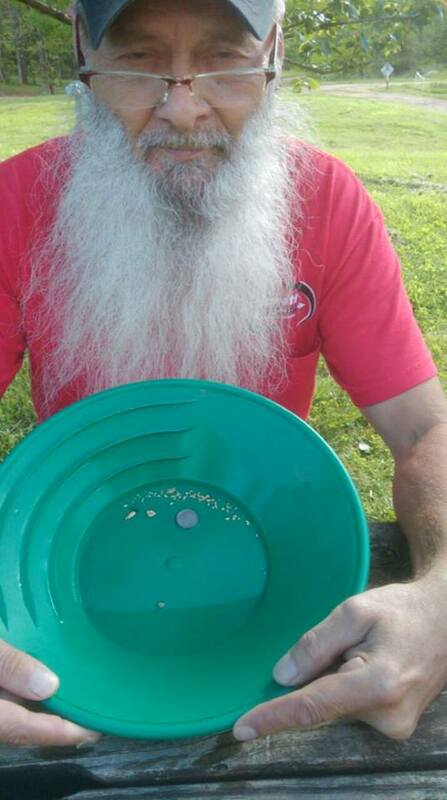 Even Santa Knows where to find the Gold!!! 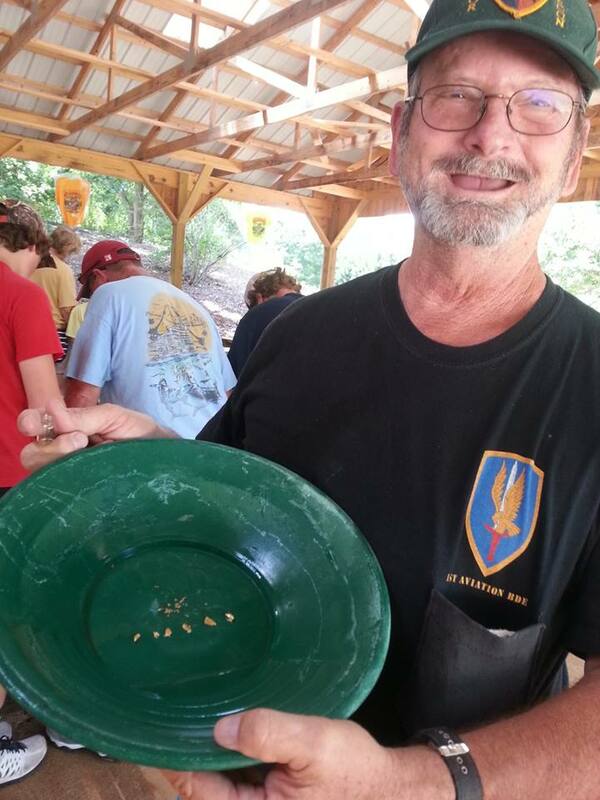 Gold he found running a Trommel. I am glad he found a lot. I don’t want to end up on the naughty list. This is a happy young man!! He has a colorful personality!! Words can’t describe how happy he was when he found this big nugget. Even though the family didn’t get in the picture. 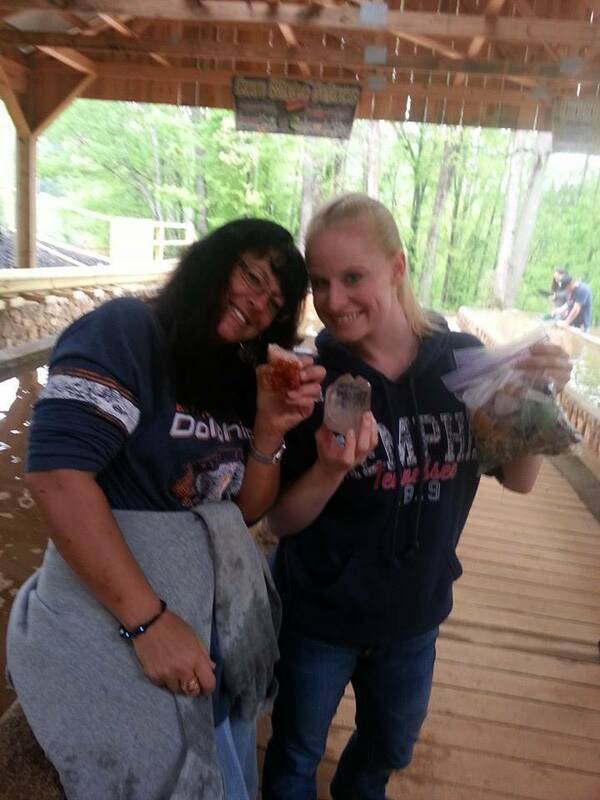 She is showing off their gold nuggets they found in the Trommel. 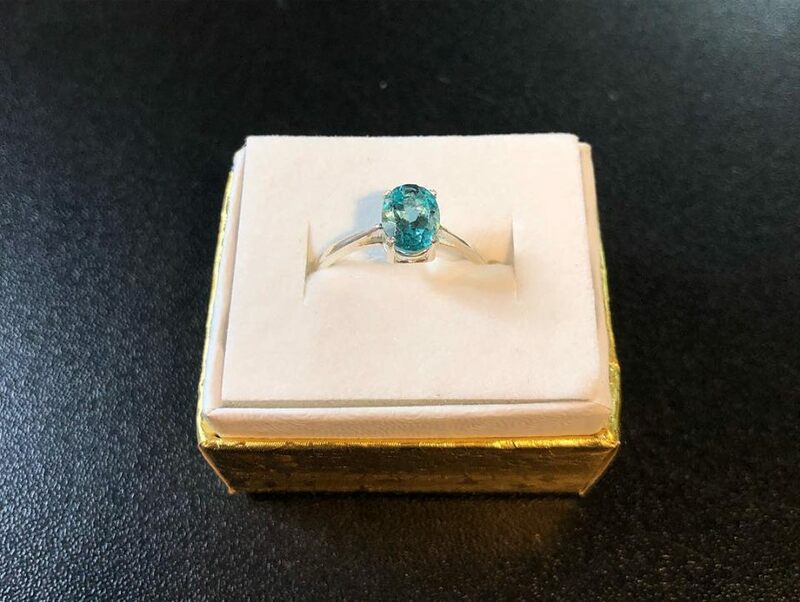 This customer ordered some High Grade Gemstone Material to work at home. 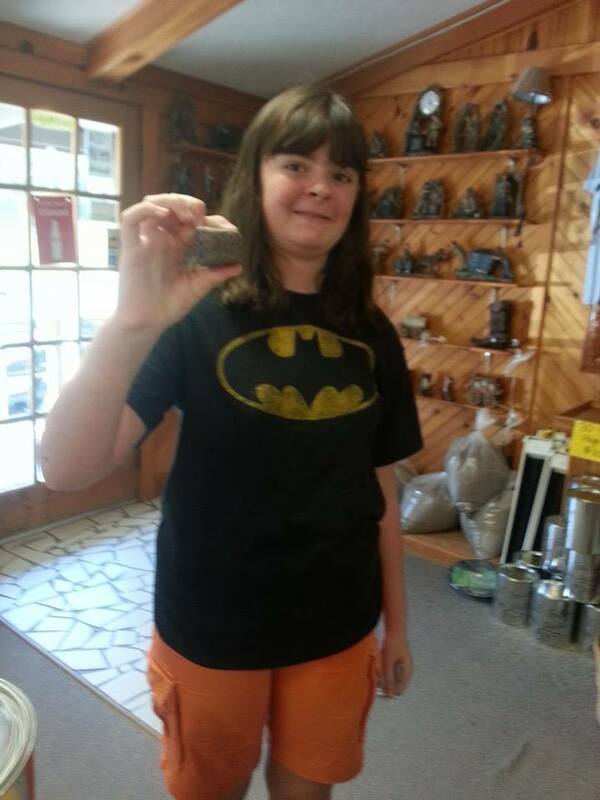 He had to come to our shop just to show us the Huge Ruby he found!! 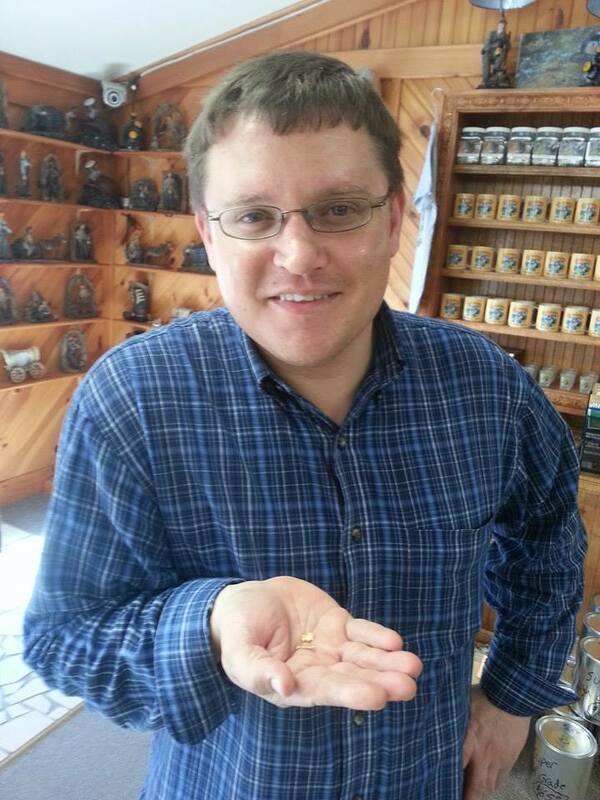 Can you believe it is 800 CT. He can get several pieces of jewelry cut out of this Ruby!!! Jesse Killmon was here to celebrate his Birthday. 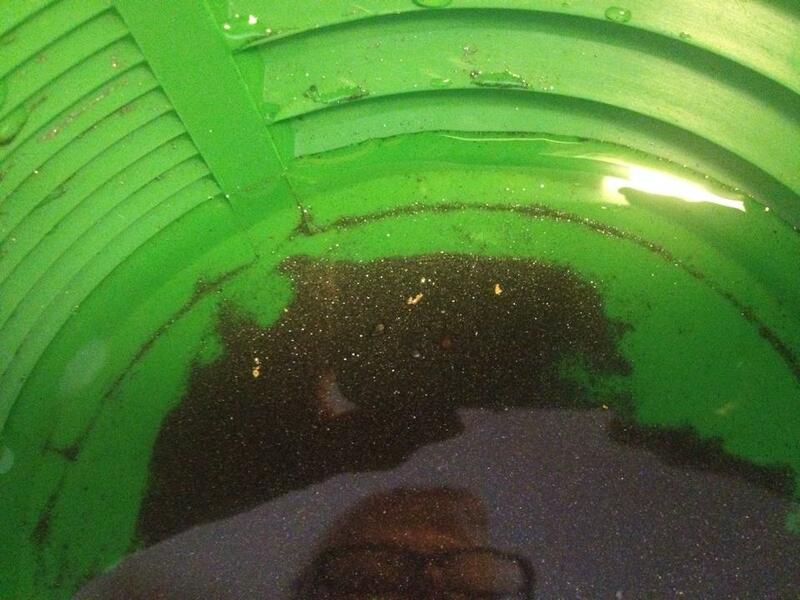 Look what he found in his bucket of Concentrates! His wife was as excited as he was. 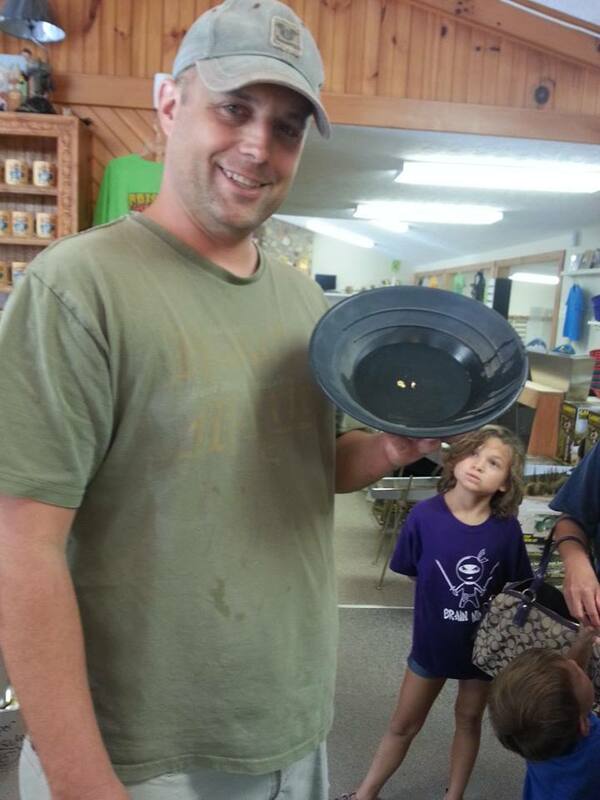 A Happy Customer with his two Nuggets! 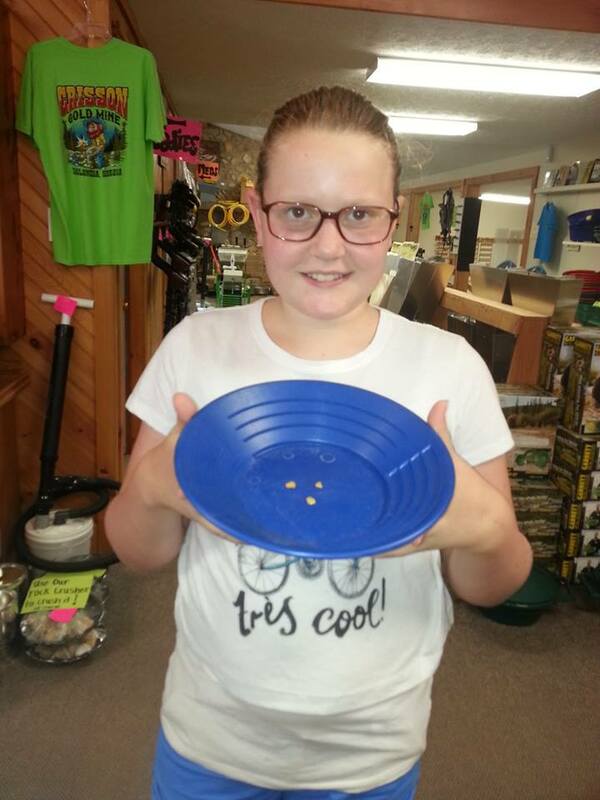 A happy Customer with Gold Fever! He was on his way home to see his new born baby when he stopped by. 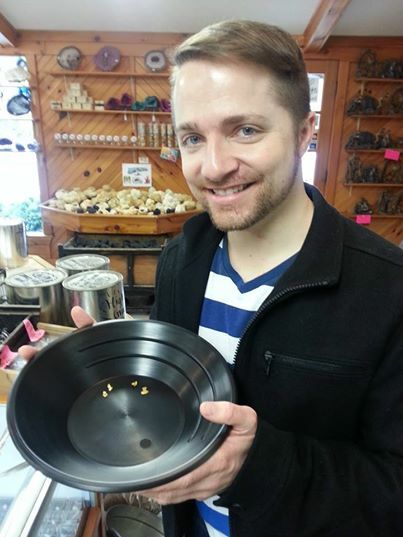 He was so excited when he pulled these nuggets out of the Trommel. He said he would be back! This is a very happy Lady! Great find with these two nuggets. They found one in the trommel. 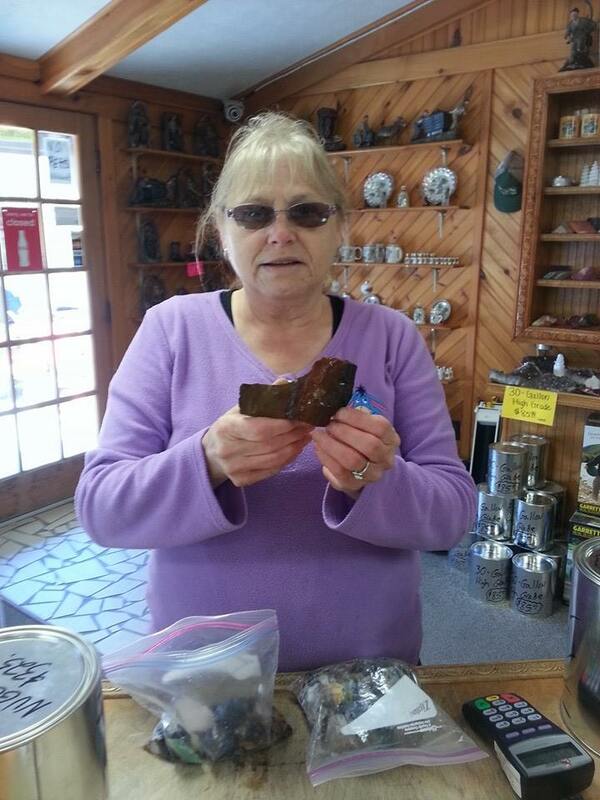 Then when she was panning the concentrates she found another one. 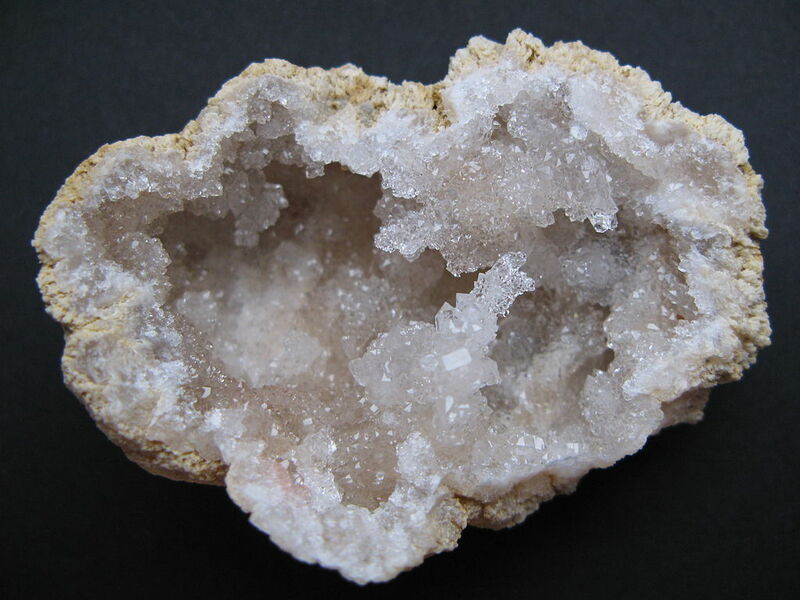 This is a video of a geode being broke open! 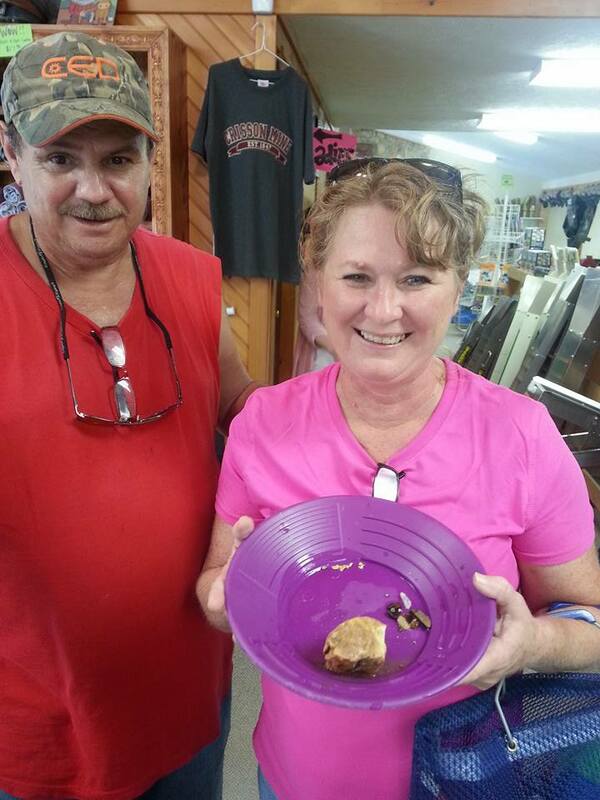 This is a video fo a Geode being cracked open by a customer her at the panning area. It is very cool to watch! Steven Storm showing off his Gold!! 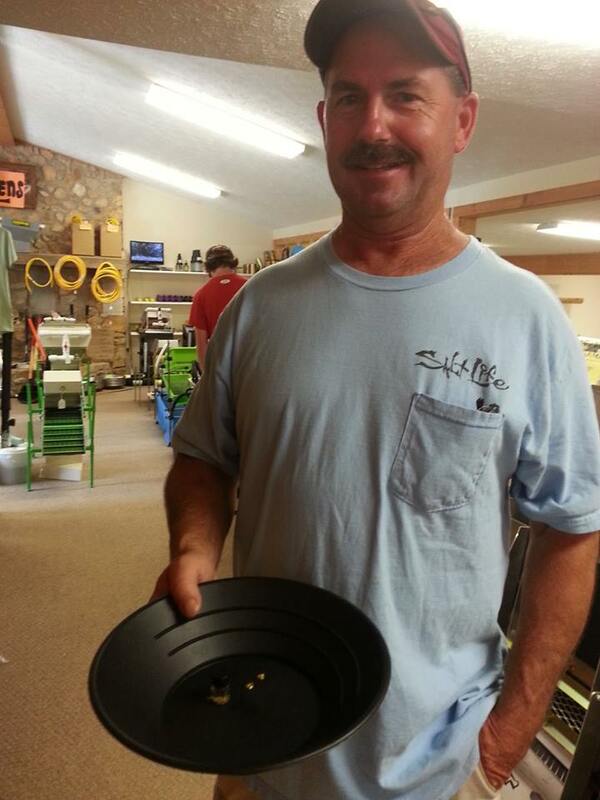 Steven is showing off his gold he found in the Gold Concentrates we have shipped out to him. Give us a call or go to our online shopping cart and we can get your concentrates right out to you!!! 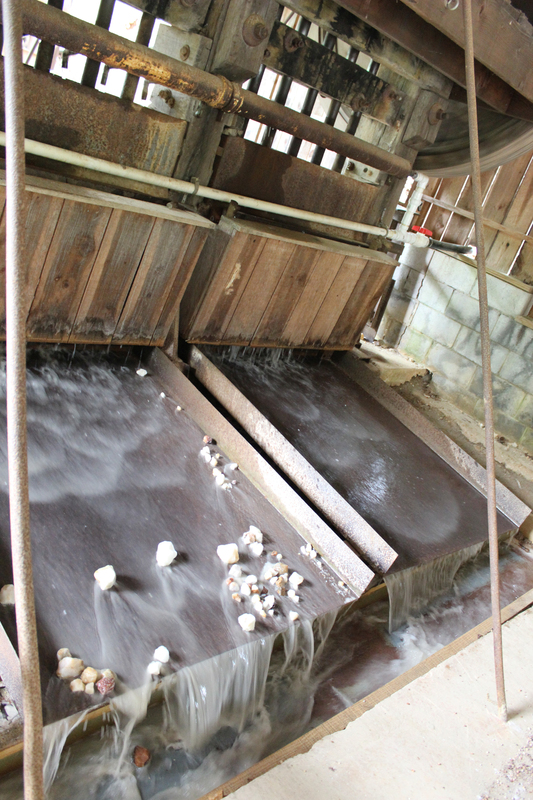 Another great day at the Mine! 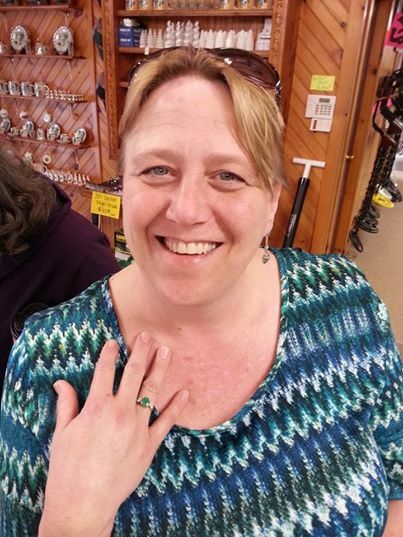 Suzanne is showing off her Emerald Ring! 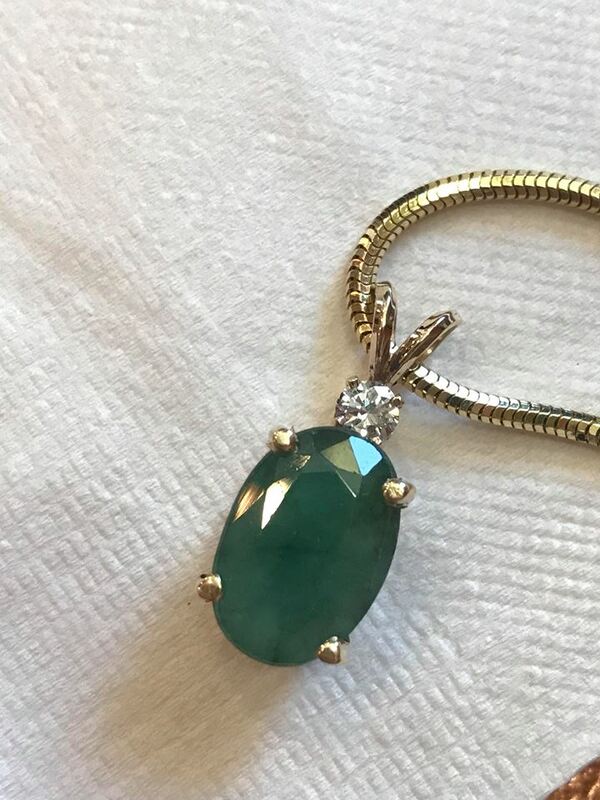 She found the Emerald here and got it cut. 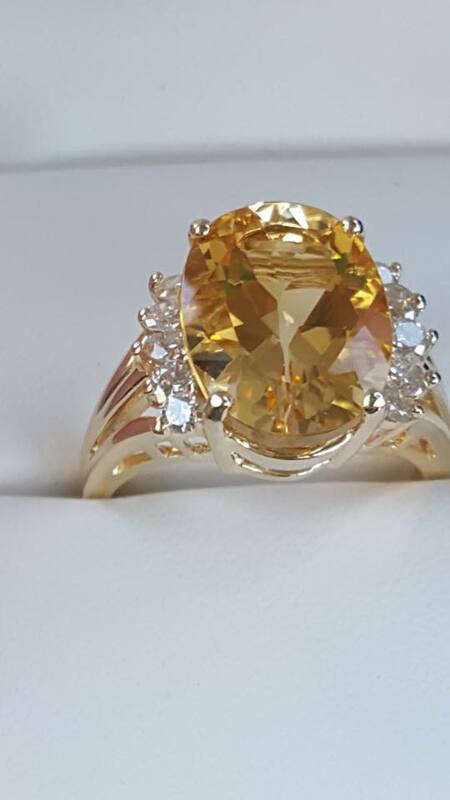 This is a very pretty cut stone. Way to go Suzanne! Take a look at this Blood stone! She can get alot of Jewelry cut from this beautiful piece. How about that bag full laying on the counter! She had a succesful day! Take a look at that Gold! It is a lot of flakes and several nuggets. Place your order today!!! Happy Couple with their Nuggets! She wants a pair of Ear Rings and a Ring!! She was excited about this Ruby she found!! She said she wants to make a pair of ear rings and a Ring out of it. I think it is big enough don’t you. 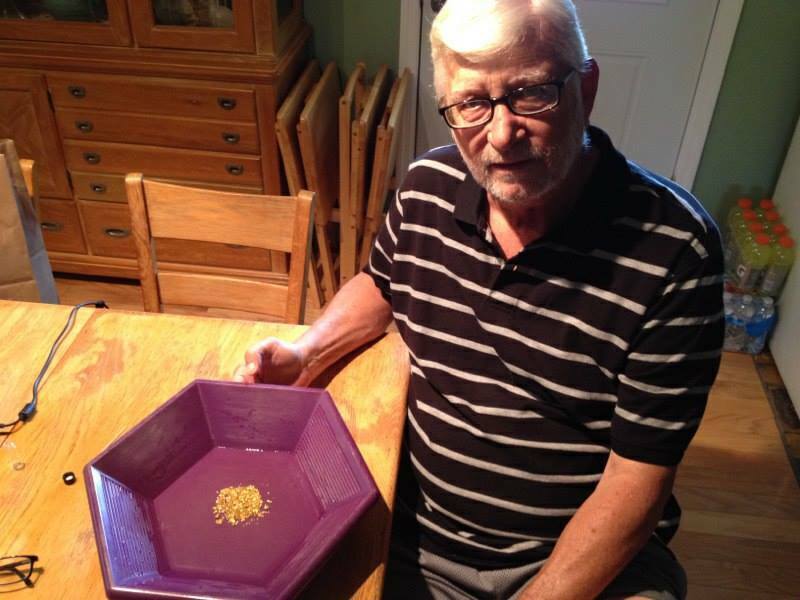 Darrell Mosher showing off his Gold he found from the Gold Concentrates we ship to him and he pans it in his Living Room in Little Valley New York!! Can you say Gold Fever!!! This is a Life long customer! 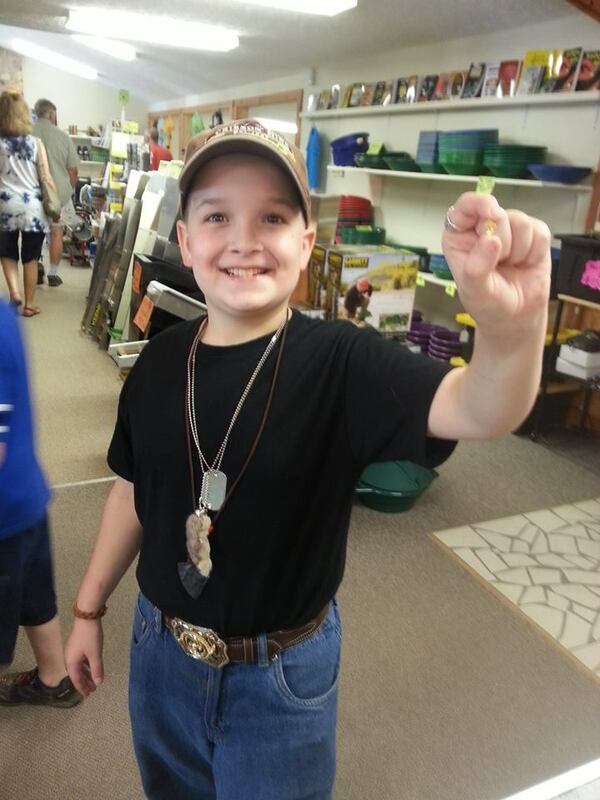 He is showing off some of the Gold he has found in a few visits! He didn’t want to bring out all that he has found over the years. 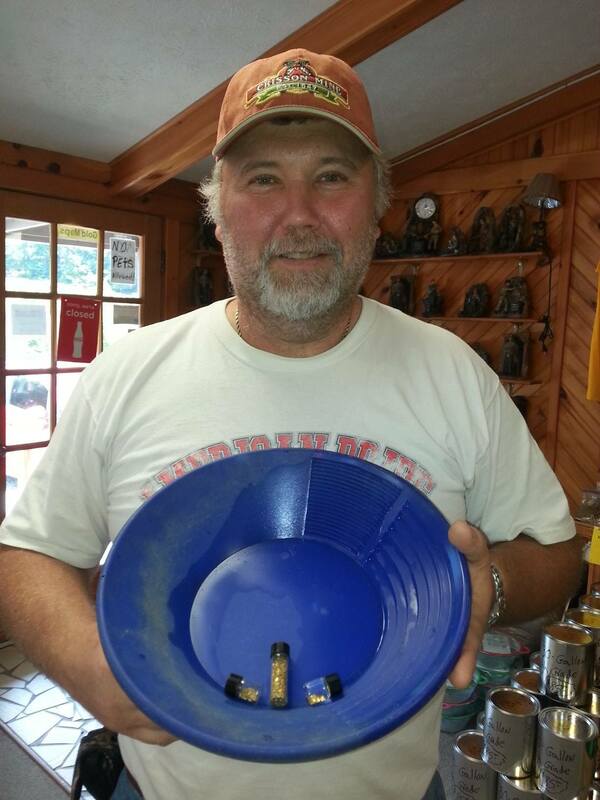 This is a picture of Dana and Scott’s Gold they found from running the trommel. Lots of pretty color in this pan! This is Josh he has been coming here since 1985. 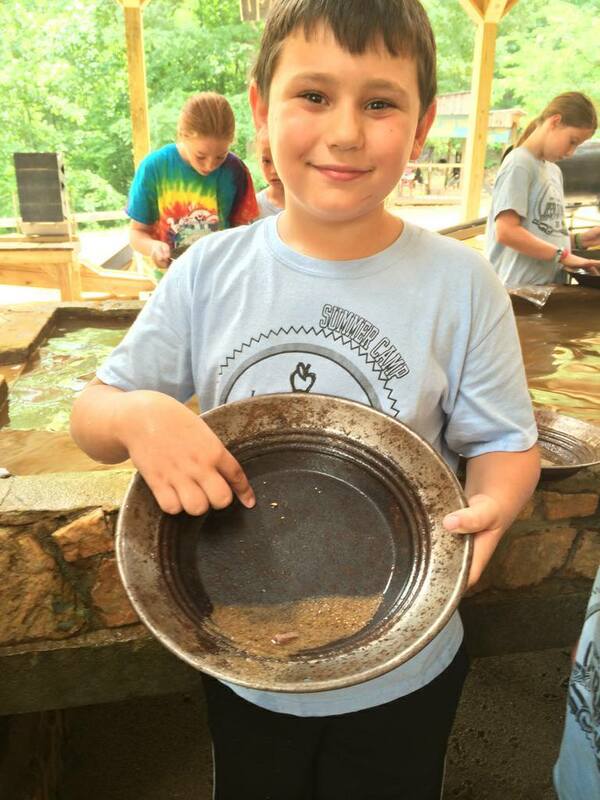 He has Gold Fever! I think he did very well today! 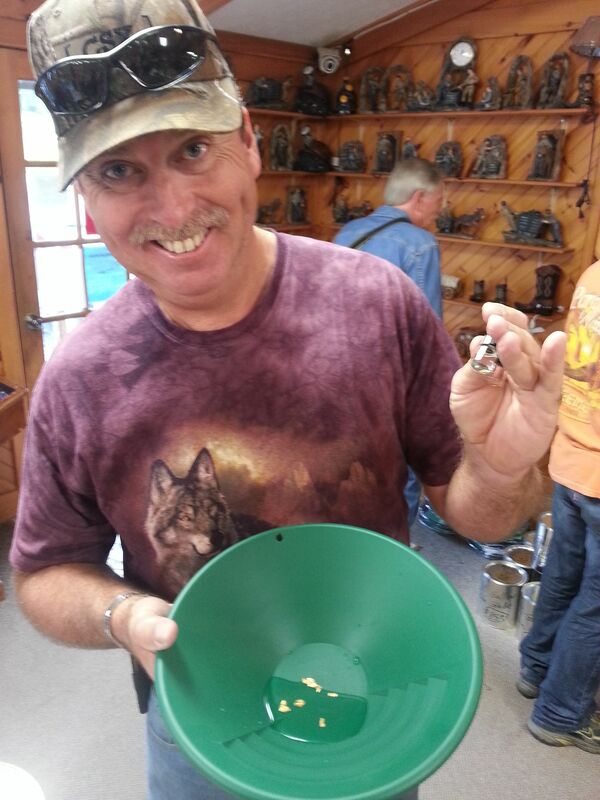 He got the Nugget bucket! this is just his nuggets. 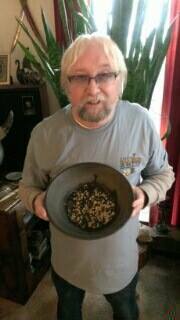 Not counting the flakes he found in the bucket! Great day for Josh. Video of customer using the trommel. This is a great video of Micheal Valadez and his wife running the Trommel on their anniversary. Tony also ran the Stampmill for him to video also. It is a great treat to see Micheal and his sweet wife. I think their smiles says it all. 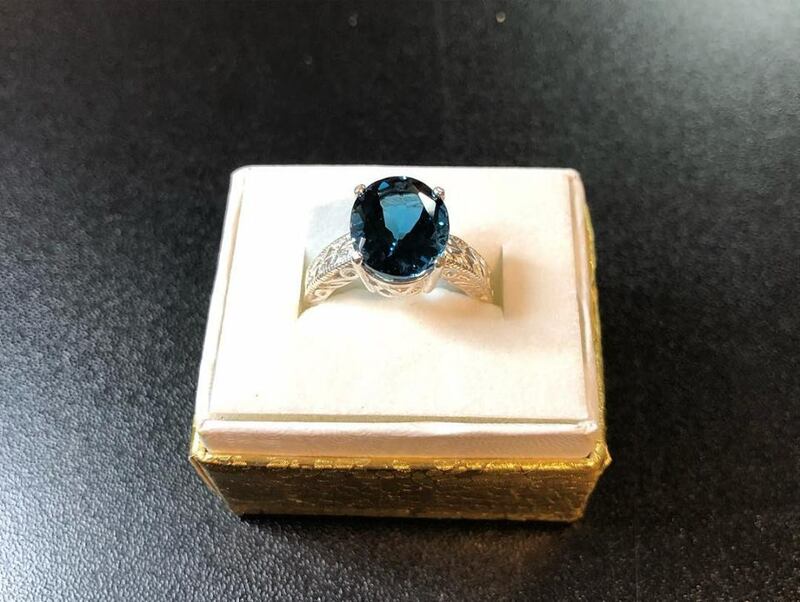 This is a beautiful Ruby to make mom some jewelry for Mother’s day! 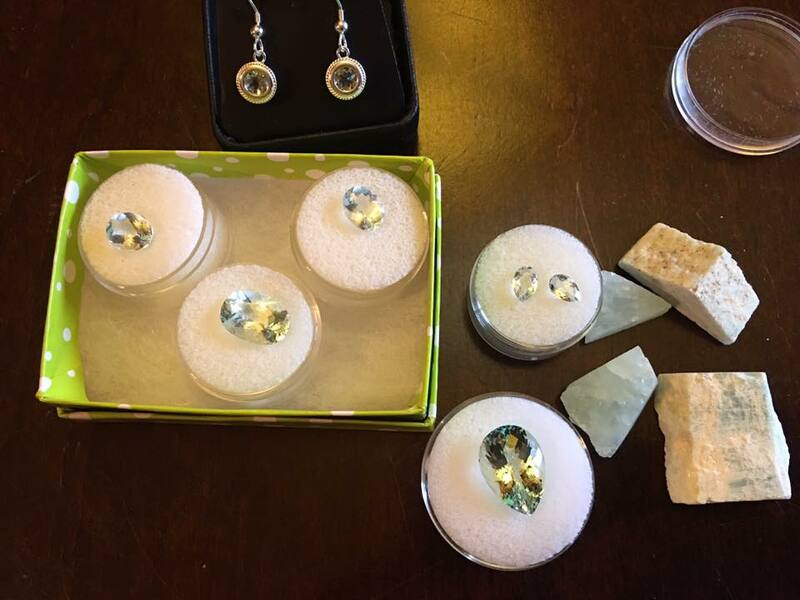 Take a look at that double Quartz Crystal and that Beautiful Citrine. Those are rare finds that size! I think they are both winners! Father and Son Showing off their Gold! He may look a little shy but that Smile says it all. What a great way to have a fun day out with your dad! Don had such a good time, that he had to come back again the next day. What did you say Gold Fever? I think so. 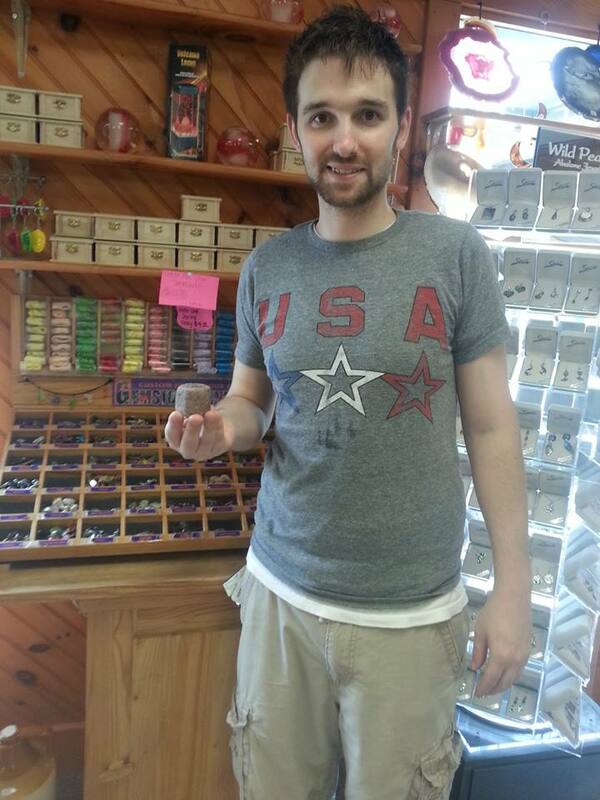 Andy Showing off his Gold from his Weekend! He ran a few Trommel loads over the weekend! Take a look at those nuggets! Not bad for a rainy couple of days! 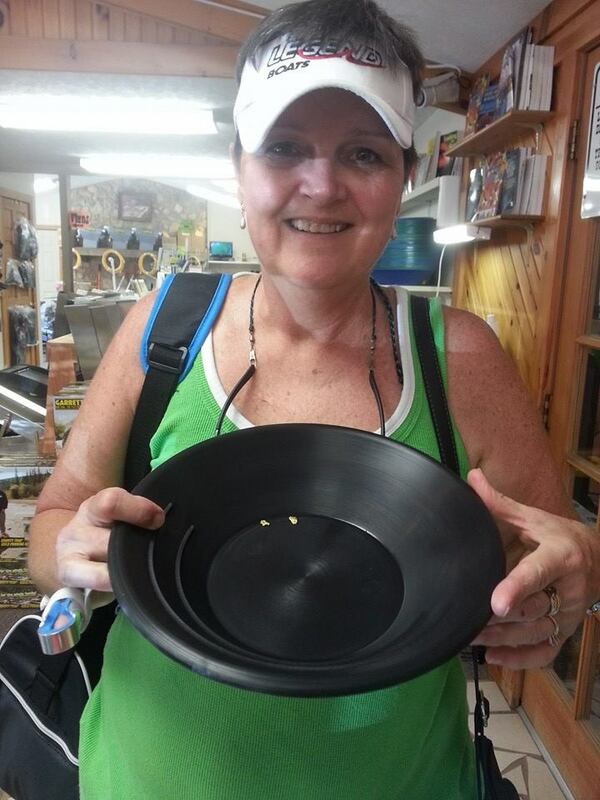 This is a picture that this customer’s wife sent to me to show how much fun they are having panning for gold in their own home with our concentrates! 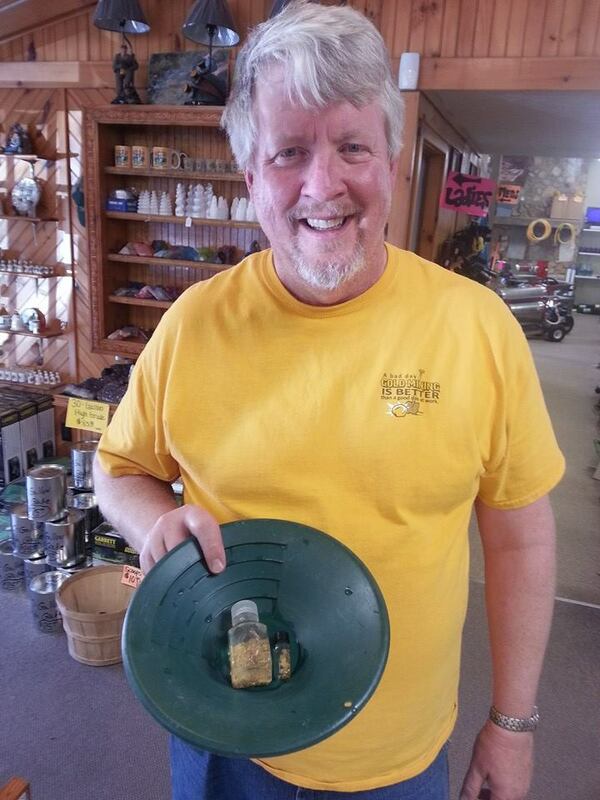 I love to get the emails so I can show what our customers are finding in our concentrates. He had so much fun!! 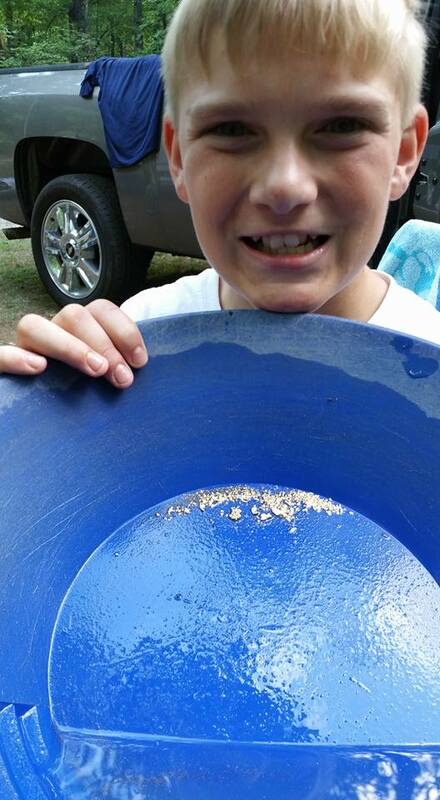 He wanted to show off His gold he found!! 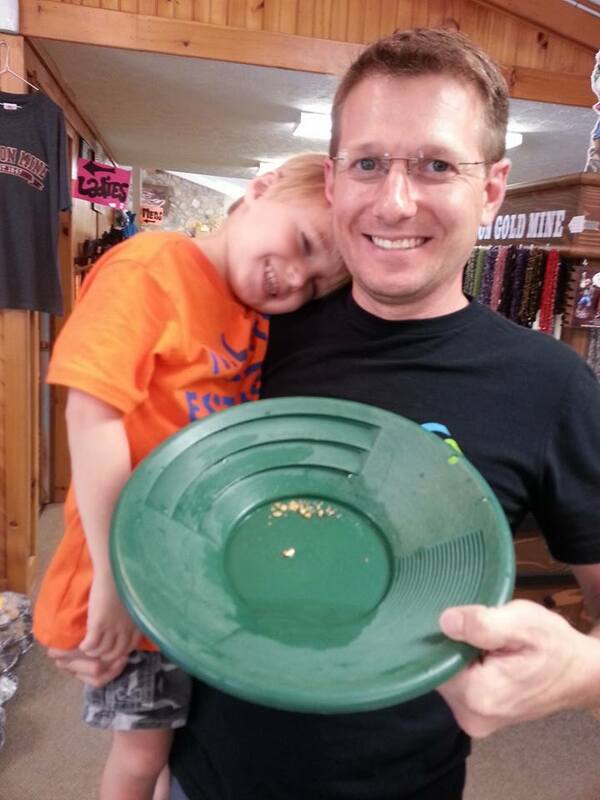 Not just 1 but 2 Gold nuggets!! !